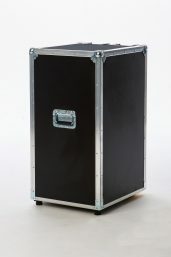 Up to 250 litre without a keg replacement. 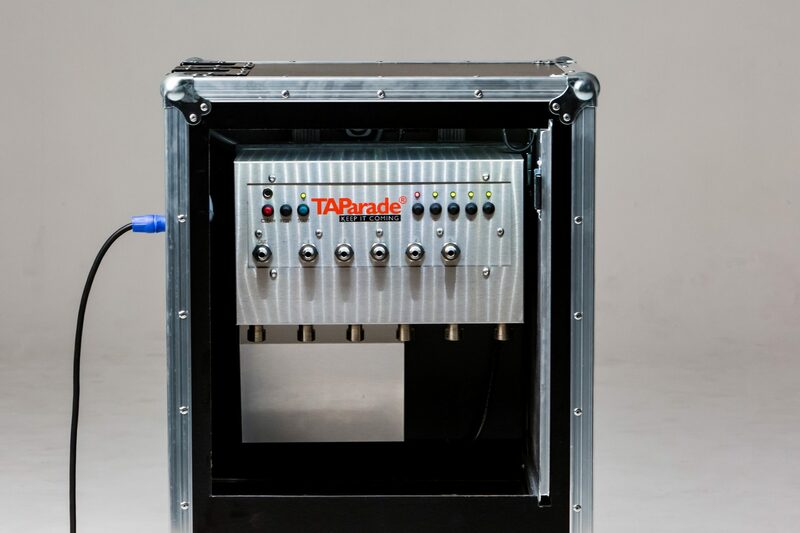 The TAParade® Keep It Coming uses one keg at a time, with the comfort of continuous tapping up to 250 litre. 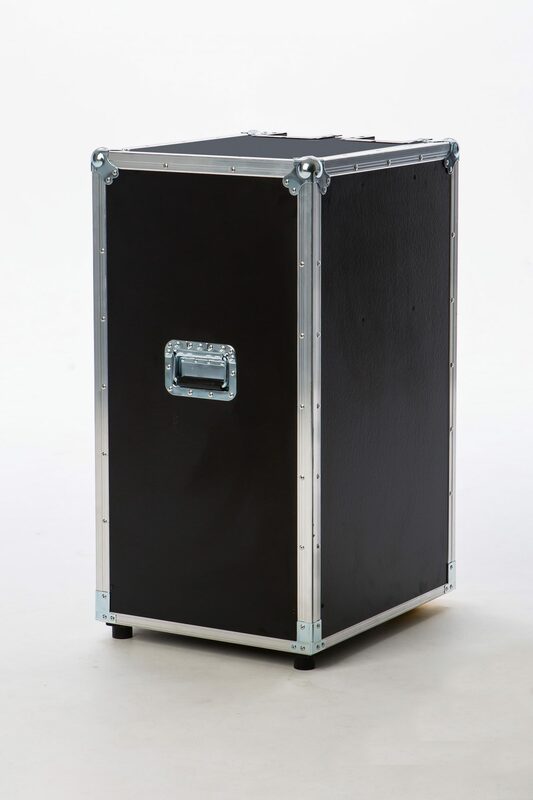 The system is manufactured from high-tech materials. 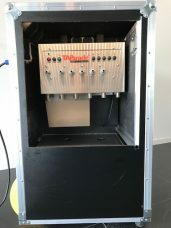 Trouble free tested with 5.000 rotations, equals 1.250.000 litre! 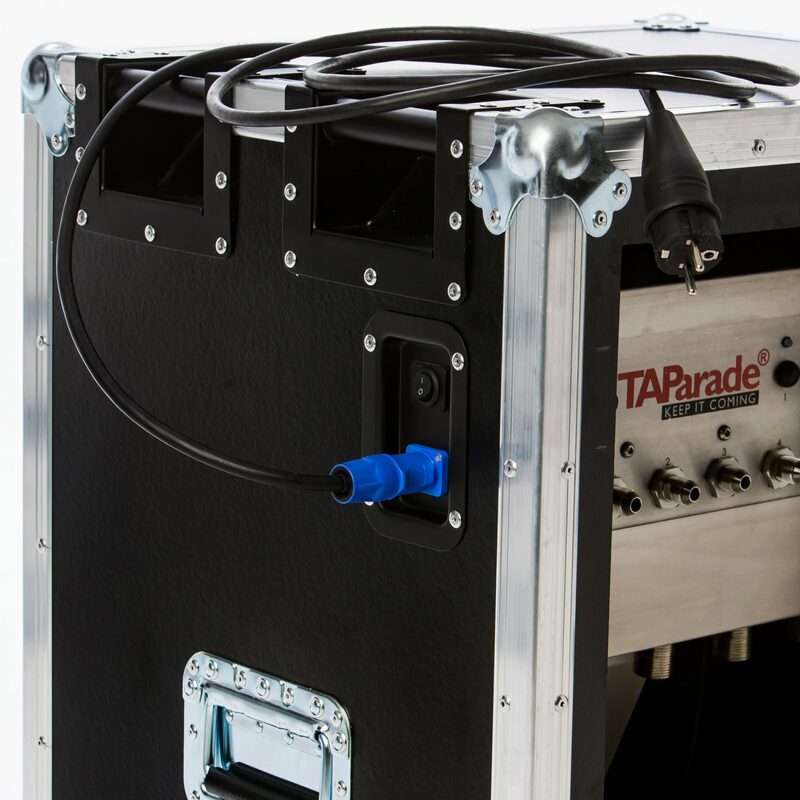 TAParade® WM5: Permanent flow in your business. 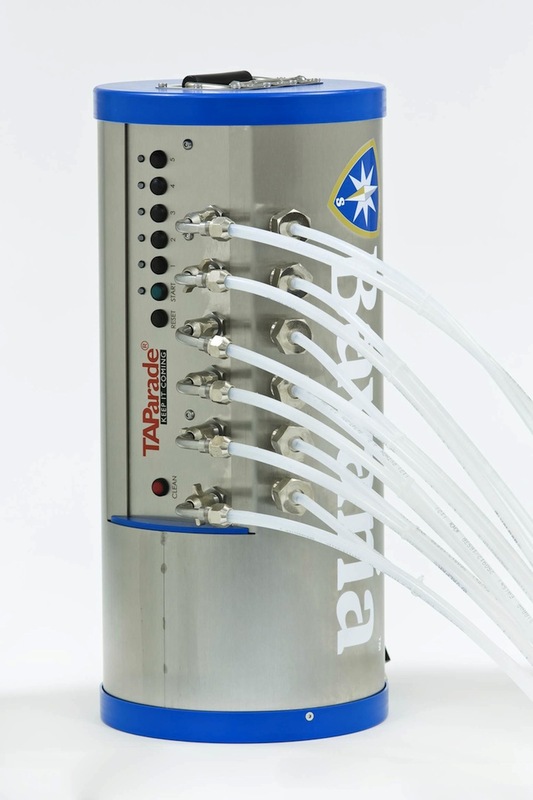 The TAParade® WM5, de wall mount version, connects five 20 to 50 litre kegs to one high quality dispenser. 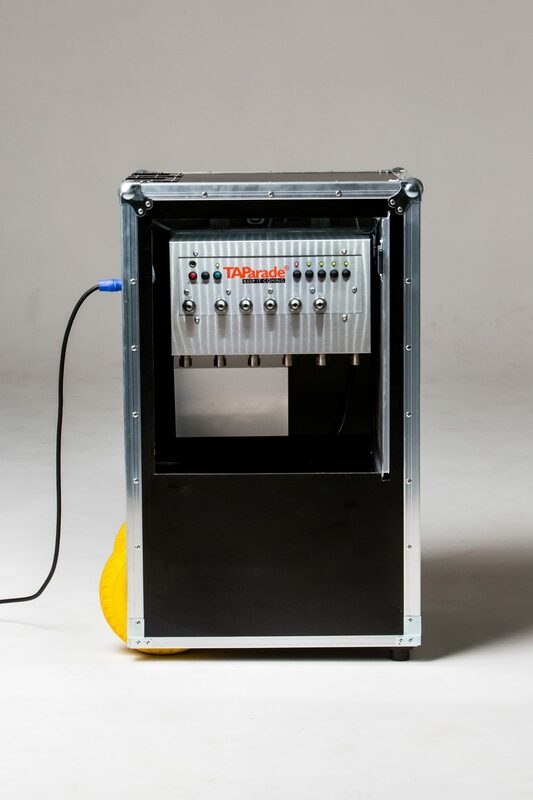 Multifunctional operation display that shows the status of the kegs with red or green LED indication. 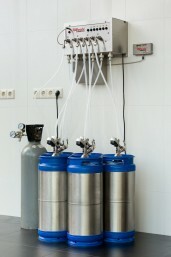 Easy to install: quick mounting on various kegs. 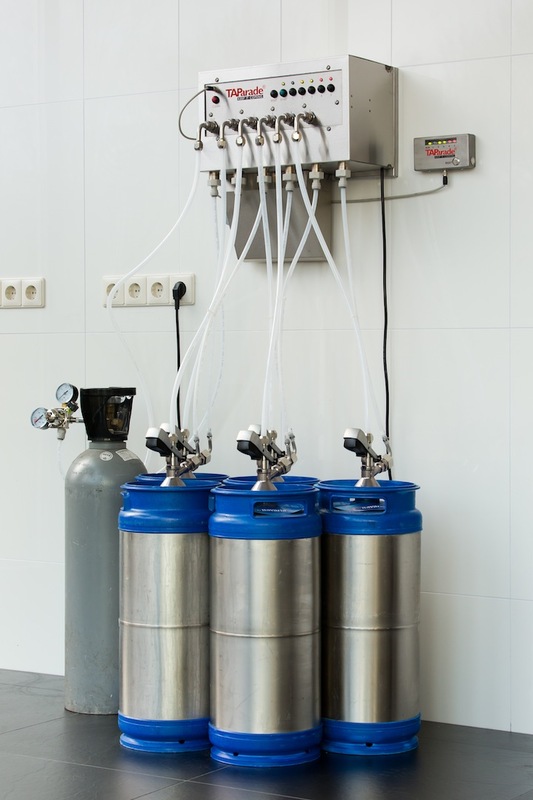 Extremely suitable in multiple tap installation. 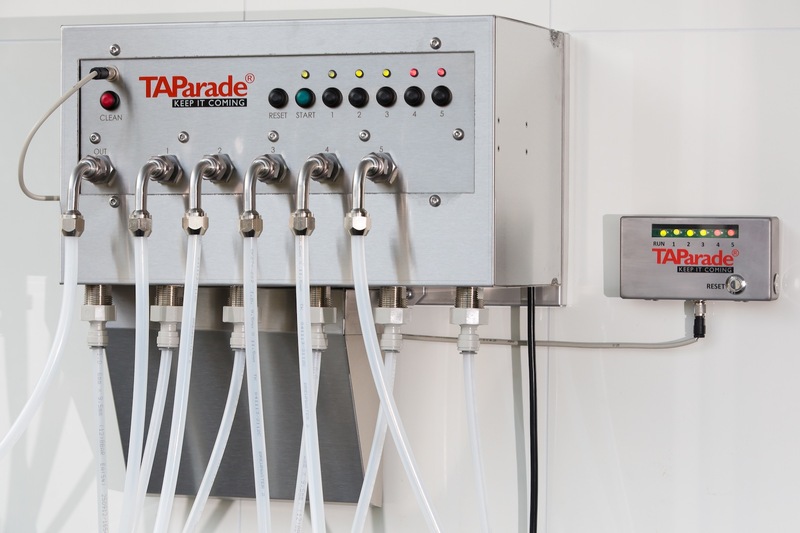 Easy to maintain (chemical rinsing or mechanical cleaning). 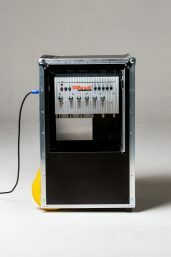 Cleaning procedure monitored on operation display. 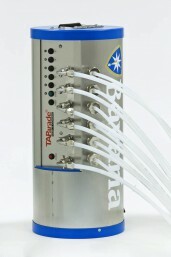 Optional operation display close to the tap. 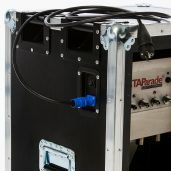 TAParade® M5: Keep it coming, whatever the place or time. 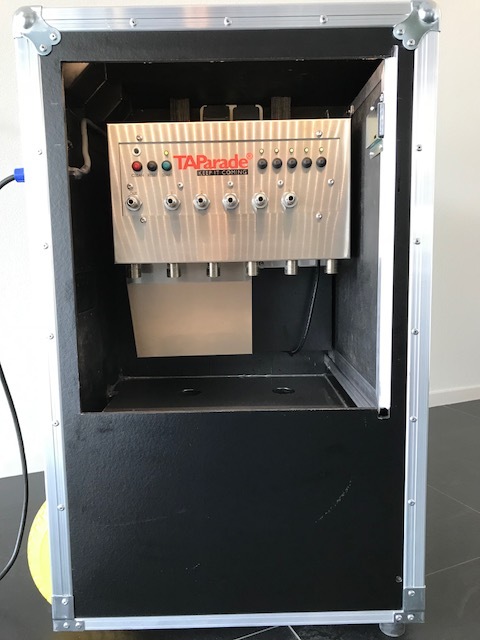 De TAParade® M5: the first choice beer alignment system that makes it possible to connect five 20 to 50 litre kegs to one high quality dispenser. 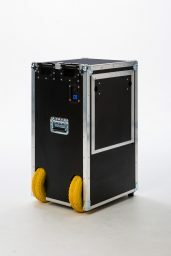 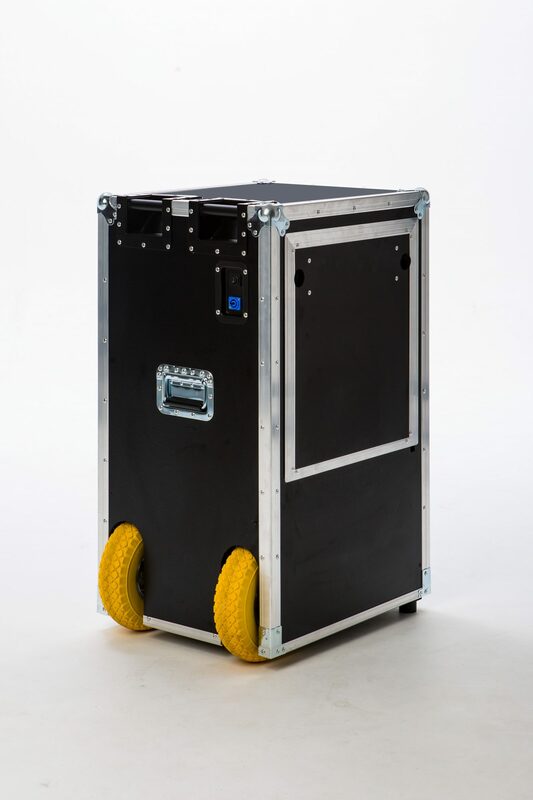 The portable unit is ideal for mobile use and dispensing beer on location.